On April 5th I head off to the Sahara to take part in the Marathon des Sables, often called the toughest foot race on Earth. A week long 250 km race across the desert, temperatures often reach 50*c.
You are self sufficent & have to carry all that you may need. Water is supplied but limited to 9l a day. 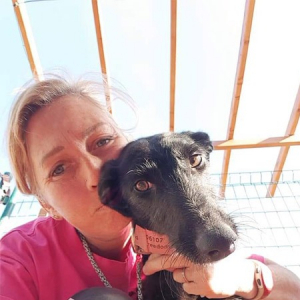 I’m hoping to raise some £’s to help 112 Carlotagalgos continue with their tireless work rescuing, rehabilitating & re-homing galgos. A breed of dog, used in Spain for hunting & subjected to the most appalling cruelty by their so called ‘owners’. Often abandoned with their mouths bound so they starve to death & in ever increasing numbers simply killed once they are of no further use. All money raised will go directly to 112 Carlotagalgos. 112 Carlota galgos, Crowdfunding, fundraising. Bookmark.